Advances in eye care have led to so many great options for people experiencing different kinds of vision problems. Whereas glasses and contacts were the primary solution in the past, patients can now undergo effective and safe surgeries in order to restore and enhance their eyesight. One particular advance that has benefited many patients lately involves the use of intraocular lenses, also referred to as IOLs. We'd like to take a few moments right now to consider the nature of IOLs and why they may be of great benefit to you. An intraocular lens (IOL) is an artificial lens that is used to replace the natural lens of the eye. This is distinct from implantable contact lenses (ICLs), which are used to enhance the vision of the natural lens of the eye rather than replace the natural lens itself. The best candidates for intraocular lenses (IOLs) are people who suffer from conditions in which the natural lens of the eye is unable to function as it naturally would. 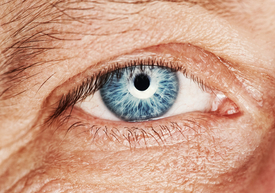 In general, this means people who suffer from cataracts or people who suffer from presbyopia. Cataracts - Cataracts are the clouding of the lens due to the proteins within the lens clumping together. This causes the lens to become milky or opaque. This can be address through cataract surgery, allowing the cloudy lens to be removed and a replacement lens to be inserted in its place. Presbyopia - Presbyopia is an age-related condition in which the natural lens of the eye loses flexibility, resulting in farsightedness (hyperopia). Presbyopia surgery will similarly involve the removal and replacement of the natural lens of the eye. In general, the entire process of removing the natural lens of the eye and replacing it with an intraocular lens (IOL) will take about an hour. Patients will be placed under local anesthetic and likely a sedative as well. When removing the lens of the eye, the surgeon will do his or her best to maintain the lens capsule as overall results tend to be better by keeping this in place. Following surgery, patients will feel tired and groggy. Vision may be blurry in the first few days after the surgery has been performed but it will improve steadily over the course of a week. Itchiness, discomfort, and irritation of the eyes is also common, but patients are advised not to rub their eyes until instructed otherwise. Eye drops and other medications are helpful for dealing with these matters. A full and detailed list of post-operative instructions will be provided during the consultation process. In addition to the use of intraocular lenses (IOLs) for enhancing vision, eye surgeons have plenty of other methods of enhancing your eyesight. We will be sure to provide you with all the information we have so that you can make an informed and empowered decision regarding the wellness of your eyes. For more information about intraocular lenses (IOLs) and your many other options for advanced eye care treatment, be sure to contact our eye care centers in Monterey and Salinas today. The entire team here looks forward to meeting you in person and helping you achieve the best eye health possible.